A keyboard and mouse is a great user interface system for general computing tasks, but in other situations knobs, sliders, and lights would certainly be more fun. 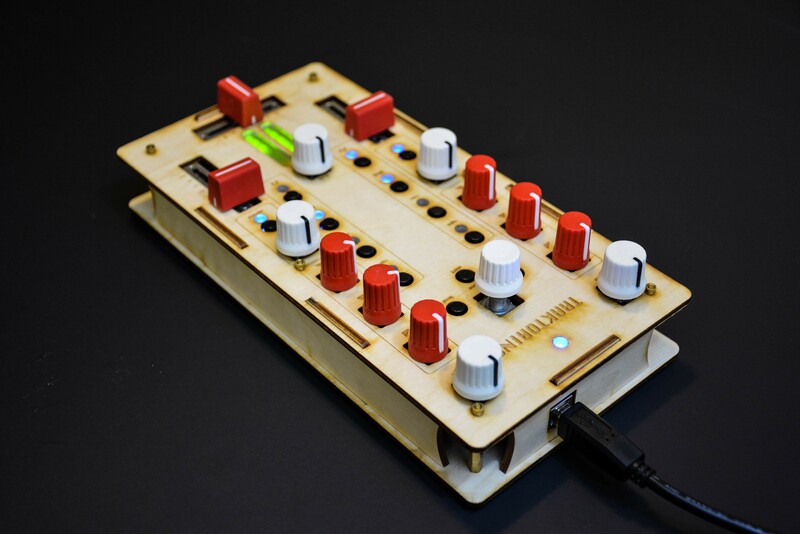 If you enjoy making digital music, then you should check out this low-cost, Arduino-based MIDI controller by Músico Nerd. The Traktorino gives you access to a plethora of knobs and sliders, as well as LEDs for custom feedback in a laser-cut package. 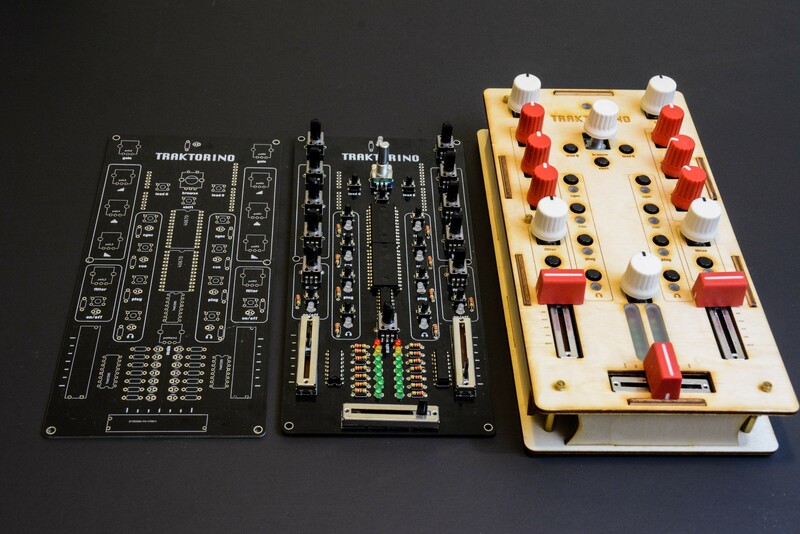 Internally, the device acts as an Arduino Uno shield and is designed to control Traktor DJ software by default. It also supports other MIDI programs, and perhaps could even be adapted to work with additional applications. The Traktorino is a MIDI class compliant device, designed for controlling Traktor. It has several features and custom made mappings, so you can take the most of the software. However, it can do much more than that. The Traktorino can control any software that accepts MIDI, like Ableton Live, Serato, FL Studio, Logic, etc. More information and build files can be found here and on GitHub. Very inspiring, this project got me into the Arduino world, Gustavo is a real inspiration for music nerds!